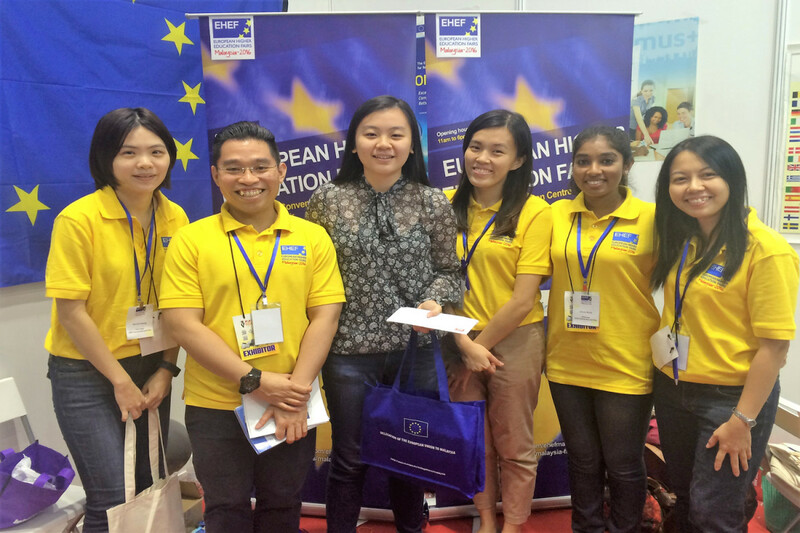 The European Higher Education Fair Malaysia 2016 was held in Kuala Lumpur, on the 12th and 13th March 2016 at the Kuala Lumpur Convention Centre (KLCC). The Fair, the fourth to be held in this project series (following EHEF Vietnam 2014 and EHEFs in Kazakhstan and China, 2015), brought together 100 exhibitors (higher-education institutions and national-level representations) from across the European Union to showcase study opportunities in Europe to students interested in Bachelor’s, Master’s and PhD level programmes. The 3rd EU-Malaysia Higher Education Conference themed ‘Cooperation in Mobility between Students and Academics’ was held at the University of Malaya on 14th March 2016. European and Malaysian higher education experts discussed achievements of cooperation as well as the challenges and future opportunities to collaborate in mobility exchanges and research partnerships. The event was attended by over 250 delegates from European and Malaysian academia and was organised in collaboration with the Asia Europe Institute, University of Malaya. The project was funded by the European Union and implemented by the S.I.C.I. Dominus consortium. The events in Malaysia were organised in coordination with the Delegation of the European Union in Malaysia.